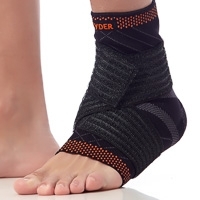 At its simplest, a sports support or brace can be a tubular bandage to provide compression and a little extra strength and stability to protect minor sprains. 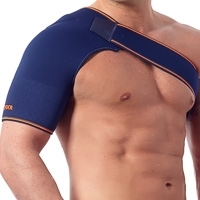 Many more advanced supports and braces are also available. 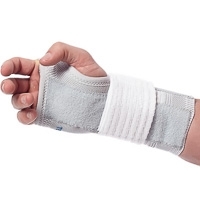 Some of these may include semi-rigid or flexible stays to physically hold the joint and keep it tracking within a safe range of movement, (or even immobilise it entirely as in the case of a thumb spica.) 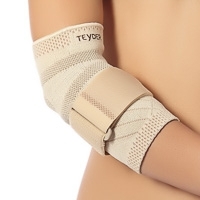 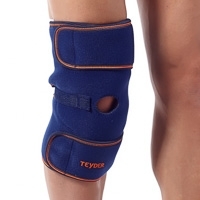 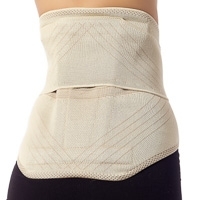 Typically, soft braces are used to prevent re-occurence and aggravation of old or chronic injuries while rigid braces are used to protect and stabilise acute injuries.